With first 250,000-square-foot building nearly full, a twin office facility will soon get underway. Bill Cawley has been busy this year. In addition to taking over leasing and management of The Centrum, he has been dutifully tending his stomping grounds along the Dallas North Tollway. 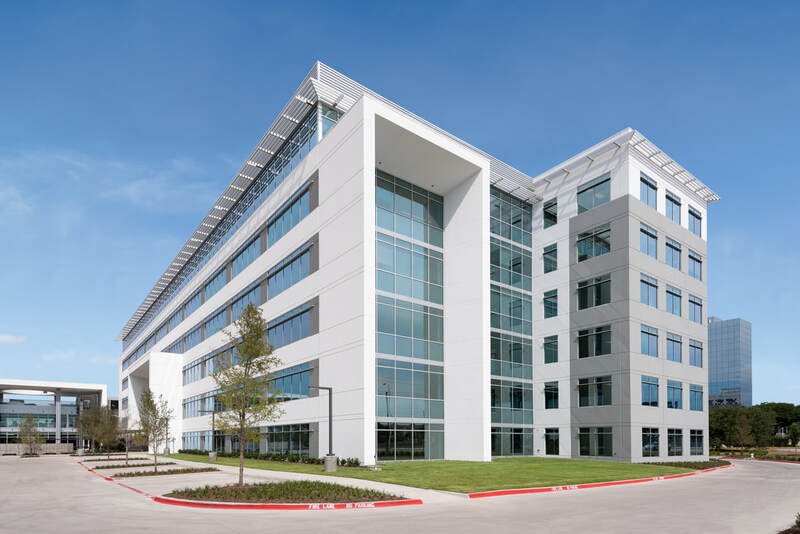 Quickly and quietly, Cawley has leased 94 percent of a new 250,000 square-foot office building at his Fourteen555 development in Addison and is moving forward with plans for a twin building on the site. The complex sits just north of the 1.1 million-square-foot former International Plaza, which Cawley built in the early 2000s. He went on to develop a flurry of projects along the corridor. 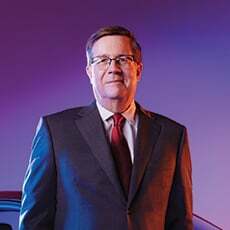 Drawing on his decades of experience, the chairman and CEO of Cawley Partners is retooling the live-work-play ethos in the tollway’s image. 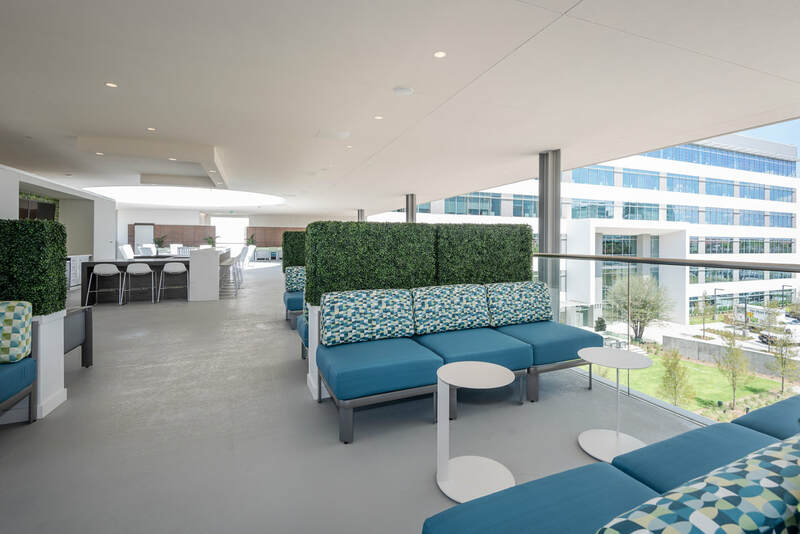 Fourteen555 is linked by a three-story amenity hub, featuring an Ascension restaurant, second-floor fitness center, and expansive third-floor deck with a glass-shard fire pit and outdoor kitchen. As walkability, live-work-play, and urbanism have taken center stage in the office game, staying relevant in the suburbs has become an increasingly difficult task. How do you give tenants what they want in a part of town that was never meant to support a high-density urban area? the employer wants to be in this building because all their employees’ needs are met,” he explained. To that end, Cawley has focused his attention on creating centers of mass on the property, places where people can gather and “activate” the space in and around the buildings. At Fourteen555, a courtyard abuts an Ascension Coffee, which takes up the full ground floor of the amenity hub. Of the various Ascensions in Dallas, this one is the largest, with the most seating and the biggest kitchen. The activity Ascension generates is meant to spill over into the courtyard and keep it buzzing throughout the day. A new Common Desk-managed coworking space on the first floor of the existing office building will also contribute to a bustling vibe. The second phase of the office project, like the first, is being designed by BOKA Powell. Cawley said he anticipates breaking ground in March, if preleasing goes as expected.